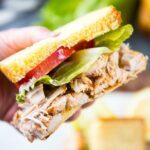 Slow Cooker Memphis Rubbed Turkey Sandwiches are the perfect way to make a simple lunch or dinner. 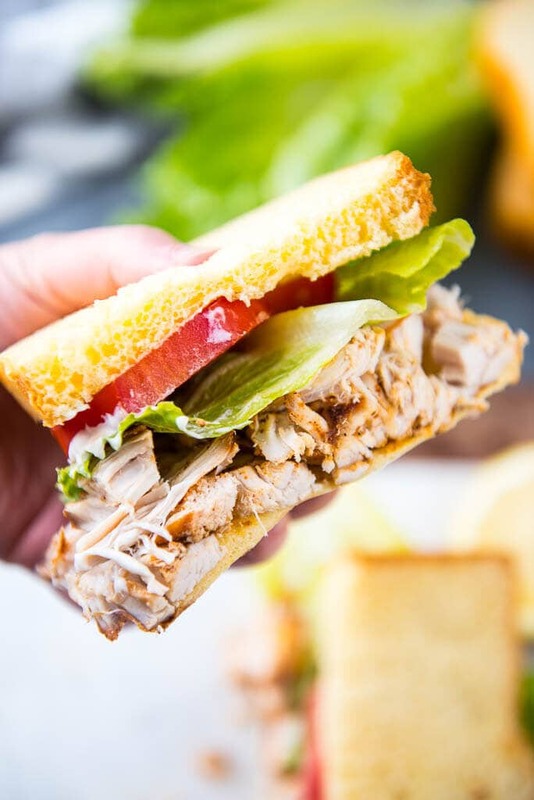 Make ahead and have the most delicious sandwiches ever and be the envy of the office or lunchroom! 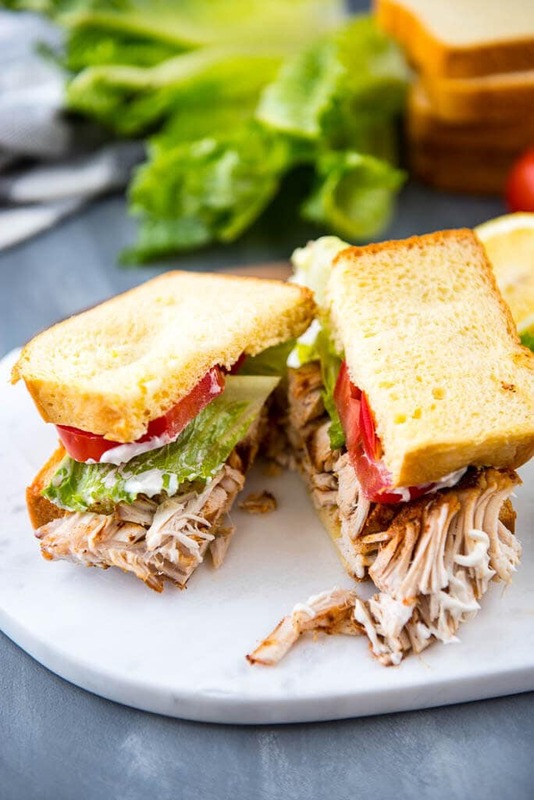 A turkey sandwich can be the perfect go-to meal when you don’t really want to cook or you just want a quick lunch or dinner. But occasionally I wonder about the lunchmeat I’m getting and whether or not I’m getting a high quality version or just how long it’s been hanging around in the deli case. There are some great options out there, don’t get me wrong, and I often buy lunchmeat to keep on hand for busy days. But I also got to thinking, is there a way I could make my own that would be easy and still allow me to have a bit more control over the ingredients? 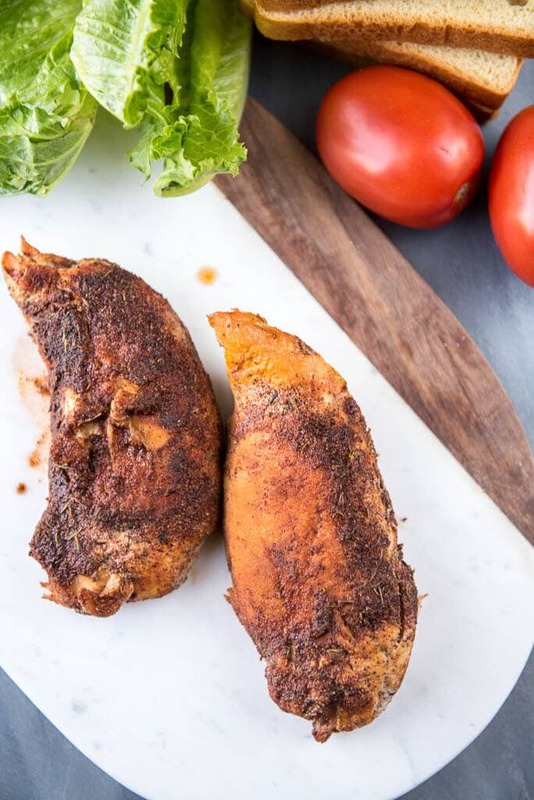 I used turkey tenderloins because it was all I could find at the particular grocery store I was at, but this would also work very well with one of the whole frozen boneless turkey breasts. I made up a batch of the same seasoning blend I used for my Slow Cooker Memphis Rubbed Brisket (which I now try to make up ahead of time and keep on hand, it’s so good on so many things!). Come to think of it, the leftover brisket would make some really good sandwiches too! And my perfect version of serving this turkey? 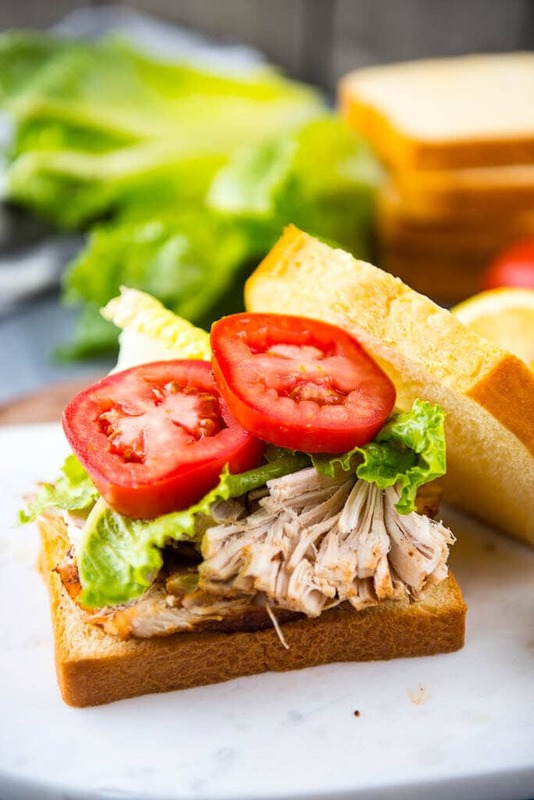 What’s your dream turkey sandwich look like? The recipe below will actually include more than you need of the seasoning blend. I like to make up a double batch and store in like these to have on hand for the next time! Nutrition information is calculated for turkey only. 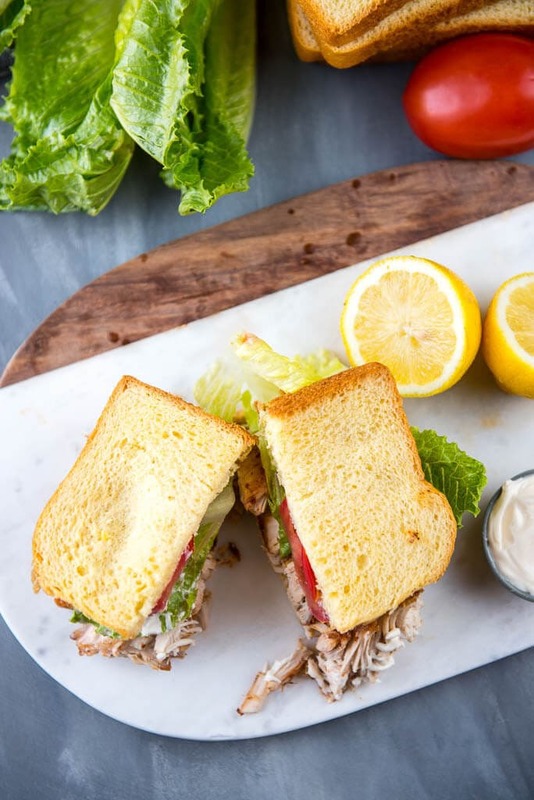 Choice of breads, topping and condiments will greatly vary, so use an online tool like My Fitness Plan to get customized information if desired. Recipe can easily be scaled. Double the ingredients if desired and store leftovers in airtight container in fridge for up to 3 days or freezer for up to 3 months. If your slow cooker tends to lose moisture during cooking, add some broth to keep the turkey from drying out. 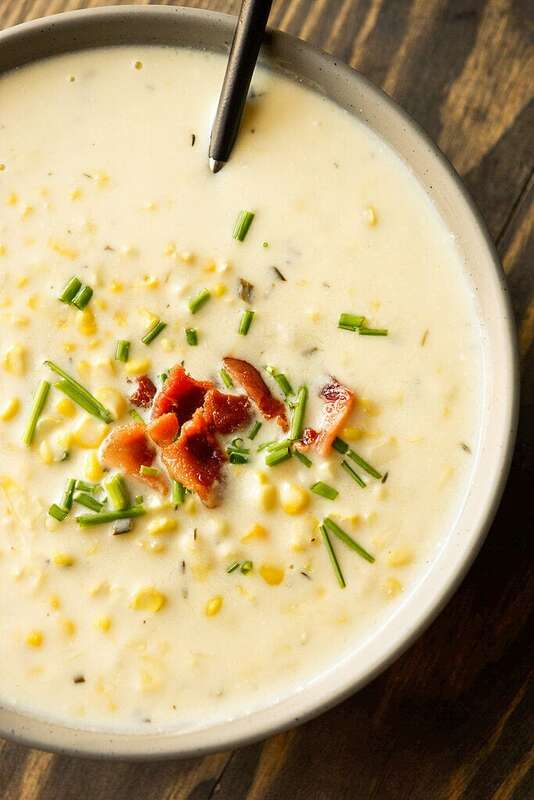 And what could go better with a nice turkey sandwich than a delicious cup of homemade soup! 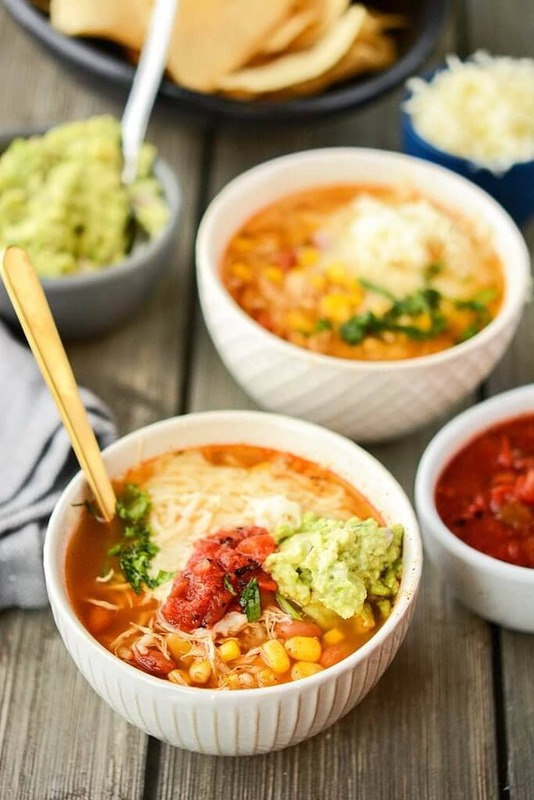 Looks so easy and SO good! Where do you get that cut of turkey? ?